Sisyphus was a legendary hero who fought against death and strived for immortality. To punish him for his transgressions, the gods condemned him to an eternity of futility. He is cursed to carry a heavy rock up a mountain, only to watch it roll down to the bottom once he places it at the top. He must then start all over again, enduring the eternal futility of his actions. In his book The Myth of Sisyphus, writer and philosopher Albért Camus uses the example of Sisyphus to frame the fundamental dilemma of the human condition. Camus argues that it is essential to be able to recognize the futility and senselessness of life and then to continue to persist in living, regardless. Camus was born in French Algeria on November 7, 1913 to a mother of Spanish descent and a French-Algerian father. Despite his privileged racial status in what was then a French colony, like many settlers in Algeria, he faced considerable hardship. His father, a poor agricultural laborer, was killed on the battlefield during World War I, when Camus was less than one year old. He was raised in penury in the capital city of Algiers by a single mother. Raised in the midst of the chaos of Algeria’s War of Independence, through his writing, Camus presents the world with a unique investigation into lived experience. However, more than a description of the underlying condition of human existence, Camus presents a facet of the experience of Algeria’s battle with colonial rule. They [the French-Algerians] think they are courageously and patriotically defending their way of life against submergence by an unenlightened mass. To the outsider who is not involved they usually appear to be defying history in an intransigent and frightened determination to maintain their privileges. Not surprisingly, Camus’ party and its position of compromise were ultimately marginalized by the advent of the National Liberation Front, which demanded and won complete freedom. Algerians of European descent had enjoyed significant privilege under colonial administration. This privilege was challenged by the expanding freedom movement, which collected natives against settlers and ushered a new era of violent and persistent loss of power for those attached to colonial structures. With the final fall of the French colonial administration in Algeria, the settler community once members of the ruling class were now merely defeated enemies. With the end of the War of Independence, all French nationals were forced out of Algeria immediately. Others of European ancestry would gradually leave as well. By the early 1960s, close to one million had fled from Algeria to Europe. Unwelcome in France, many established new homes in other parts of Europe. The few hundred thousand who remained in Algeria gradually petered out to leave behind a scant thousand. Algeria, unlike many other colonies, was marked by a huge influx of European populations into North Africa. Debbie Cox, a curator for Arabic language and literature at the British Library argues that the form of colonization to which Algeria was subject differed from that imposed on other parts of the Arab world because of the substantial settlement of European population by the colonizing countries. Unlike other colonies, the occupation of Algeria was premised upon it’s incorporation into France in administrative and cultural terms. Social hierarchies were broken and reformed as French cultural practices invaded Algerian social structures and French replaced Arabic as the main language of political and literary discourse. Who are the Europeans concerned? The majority are French, many of whom have lived here for two generations or more. Sizable minorities are of Spanish, Italian and Maltese origin. Also included are about 170,000 Algerian Jews of Sephardic rite. Their ancestors accepted French law in 1870, and received French citizenship. They have come to regard themselves as Europeans. Algerian Moslems, on the other hand, did not receive French citizenship until 1945. They were inscribed on a special voting roll known as the Second College and elected no more than half of the representatives to any council of legislature even though they outnumbered the Europeans by seven to one. The consequence has been a clean division between Moslems and non-Moslems and all non-Moslems regard themselves as French. Europeans in Algeria, including Camus, were called Pied-Noirs (black feet in French), and treated as inferior by those who lived in Europe. At “home” in Algeria, these same communities were scorned by native populations and considered emblematic of (and in many cases largely responsible for) unspeakable colonial violence and theft. Camus was accepted as neither Algerian nor European. The circumstances of his life were directed by the failings of each society: he suffered the violence and destitution of brutal colonization, as well as its backlash. He also suffered scorn for his tacit support of the colonial machinery. 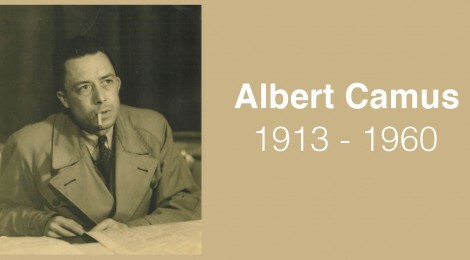 Camus remained silent and inactive with regard to colonial atrocities in Algeria, although he was a pacifist and a left-leaning intellectual. This crisis of consciousness seems to seep through Camus philosophical concepts. In Myth of Sisyphus, Camus provides a detailed elucidation of his philosophy of the Absurd. Camus posits to the absurd as an irremovable veil that separates man from a cogent understanding of the material world in which he is placed. The absurd emerges not as a separate entity, but as a chasm between man’s consciousness and his material embodiment. He begins by arguing that while some philosophers acknowledge the fundamental absurdity of human existence, most have avoided giving this absurdity the philosophical weight it deserves. He argues that the absurd cannot be ignored, instead it must be lived. In order to live embracing the absurdity of life, on must forgo idealistic and romantic notions of the world. One must embrace the fundamental “unreasonableness” of the world. One must accept that there is no meaning and no way of truly knowing with any certainty. It seems that Camus’ sense of alienation was as much with the world as much as with his own conscience. In this passage, Camus blames his need for familiarity and his conscience for his alienation from the world. Although he is speaking in purely metaphysical and philosophical terms, it seems that this passage can also be read in terms of the psychological impact of the war. Explicitly, in this excerpt Camus suggesting that the human conscience and need for familiarity force the construction of reason where there is none. These human weaknesses fashion reason from a fundamentally unreasonable or non-reasonable world. Don Juan loves, but he does not suffer for love, nor does he sacrifice himself on the altar of an ideal vision of love. Instead, he seizes the moment and loves passionately, again and again, without remorse. Don Juan has numerous experiences intense love. Similarly, the actor acquires numerous experiences of different kinds of lives and modes of being. Camus writes, “This break between man and his life, the actor and his décor, is the sentiment of absurdity.” (Camus,19) Like Don Juan and the actor, the conqueror or warrior goes forth into the world unchained by precedent and propriety. Camus emphasizes the value of multiplicity of experience. He writes, “The Absurd Man, multiplies again what he cannot unify.” (102) However, when Don Juan experiences love with a numerous women, is he really multiplying his experience? Or is he merely repeating a similar shallow gesture again and again? The same goes for the actor. By mere role-playing can he elicit the same physical, chemical and biological experience of fear or terror? Is he experiencing multiplicity or is he merely experiencing acting, again and again. The same could be asked of Don Juan. Can one man love so many different women with genuine self-knowledge? Or is this also a mindless repetition of an act? Does the act act resemble reality or does it merely a repetitive empty gesture of self-pleasure that allows for escape without confrontation, imagination without grounding, existence without complication. If Camus is indulging in escapist fantasy, then the simple question is what is it exactly that he is trying to escape? One cannot help but wonder about Camus’ focus on relinquishing conscience and familiarity in the face of rising ethnic nationalist sentiments in Algeria. Camus could neither alter his European ancestry nor his attachment to the landscape of his childhood. The war would transform Camus and other like him into walking no man’s lands– people bereft of responsibilities, accountability and social and or moral code. This was especially true given their internal fractions and diversity. They were not unified by class, faith, lifestyle or geographical origin. This ambiguous and unanchored personal landscape would, in turn, translate into a unique philosophical landscape in Camus.